built by a leading business website developer. 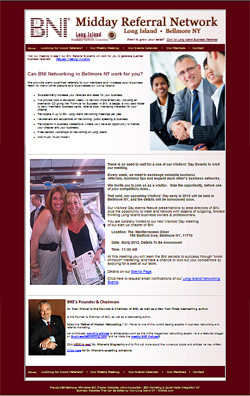 Today, more than ever, it is critical that your chapter web site for your local BNI group be easy to navigate, easy to update member info & meeting info and rank well in search engines for your local area. For business networking chapter website design, we can meet over the phone and online, discuss your chapter needs and build a strong relationship for the years to come, with our team as your web presence advisors for your ongoing online success - this is what business networking solidarity is built upon. Any of our clients will vouch for our superior customer service and superior web development, built up over years of quality service, in some cases almost a decade of continuous client satisfaction. Within the chapter, you may designate any member as the website-in-charge to do the same, with confidence to keep your site up to date, because the unlimited 800 support will assist them for any updates or changes. Contact us to find out more about a chapter website built to edit yourself. Most web development & design companies charge their clients every time they want to make modifications to their site. With us, not only do you get a custom, professionally designed web site, but you cut out the middleman, so you can upload changes and information 24/7/365 without waiting or paying expensive fees. Save that money for other aspects of your chapter business, while operating complete website marketing functions. Unlimited consulting includes: email marketing, search engine optimization, ecommerce, social media integration (Facebook, Google Places, Twitter, Blogs) and so many more areas for maximizing chapter success. The tools are all included. Don't rely on someone else to manage your chapter's online identity. Take control of your chapter web site with us as your website guide and provider. 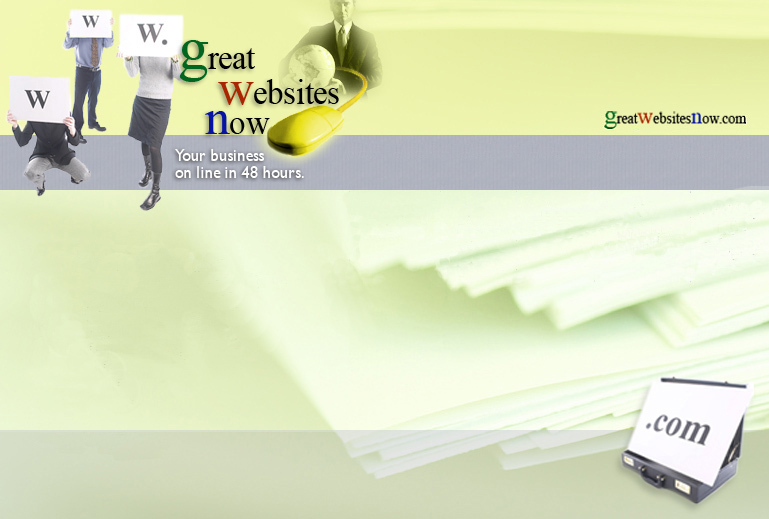 Call 877-MY-SITE-NOW or email us: info@greatwebsitesnow.com .